serving Mount Airy since 1937! Our breakfast menu includes a lot of choices. 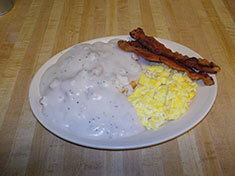 We offer eggs any style, omelets, french toast, hot cakes, skillets, scrambles, sandwiches, biscuits and much more! Our coffee is the best in Mount Airy. We serve breakfast all day for all you late sleepers! Visit our breakfast menu page for more information. On our lunch and dinner menu, we offer both grilled and fried seafood, steaks, barbeque, chicken livers and more. For those that are health conscious, we offer a variety of tasty salads. 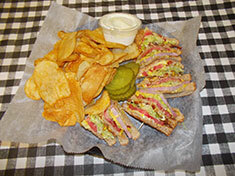 We also offer delicious sandwiches such as triple decker club, philly cheese steak, wraps and more. Visit our lunch/dinner menu page for more information. Our daily specials menu brings you that southern style cooking we are famous for. You can choose from five meats and 20 veggies that change daily. 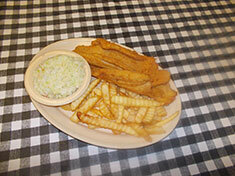 We also have “all you can eat” flounder, spaghetti, hamburger steak and ribeye specials. Visit our daily specials menu for more information. The Derby Restaurant is a family restaurant that has been serving the Mount Airy area since 1937. It has been family owned for 3 generations. The Derby is located at the intersection of Business 52 south and NC 89 east just south of Mount Airy on South Main Street in the Bannertown community. The Derby’s mission is to provide a wholesome family and community atmosphere that offers a wide variety of quality meals with outstanding service at reasonable prices. The Derby Restaurant is located in Bannertown / Mount Airy, NC. We offer a variety of southern style meals and a wholesome family and community atmosphere.